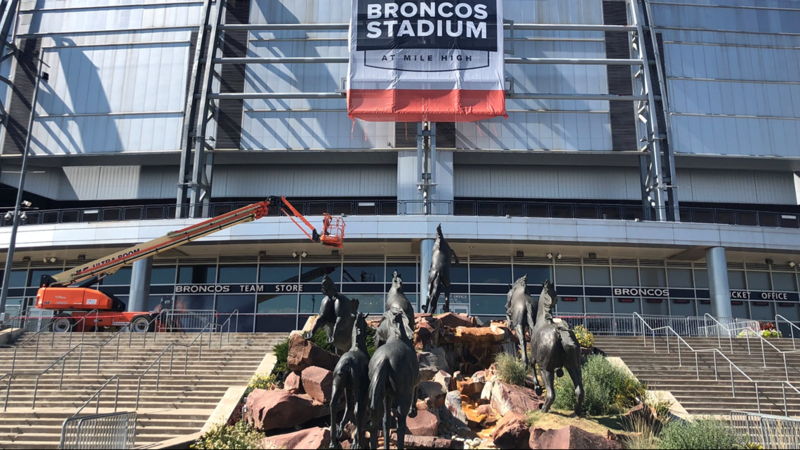 The moment Denver Broncos fans have been waiting for is here. The new, temporary sign, to go along with the new, temporary name has been revealed. 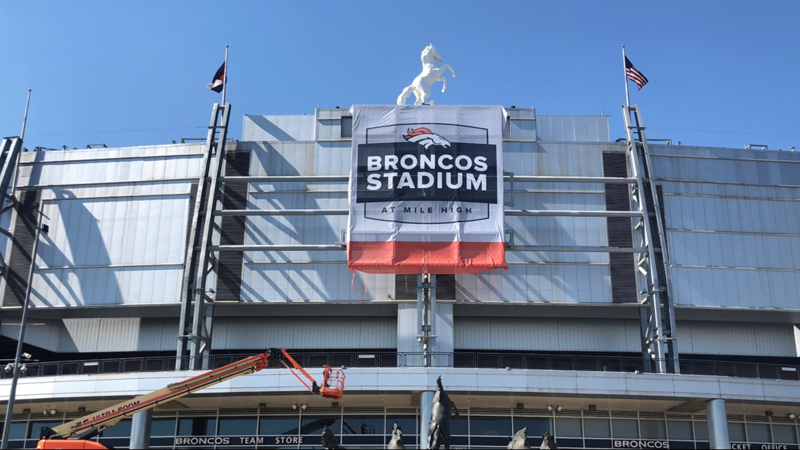 DENVER — The home of the Denver Broncos is all dressed up in a fresh new look. 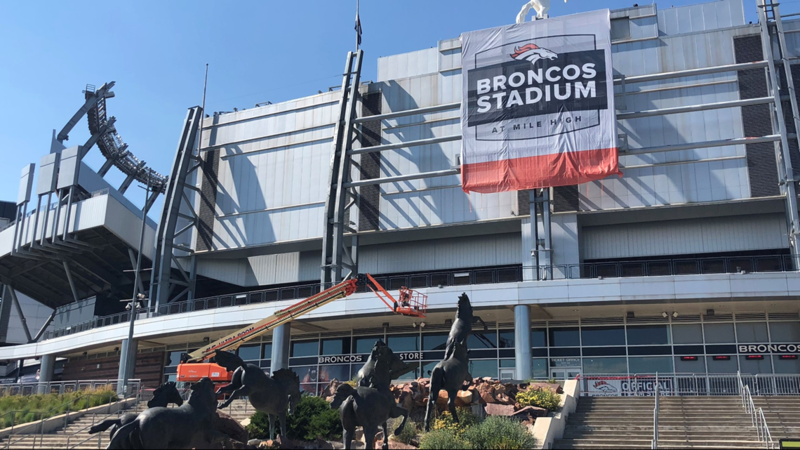 Crews hoisted a new sign - a banner - on the south side of the stadium Monday to go along with its newly-announced name, Broncos Stadium at Mile High. 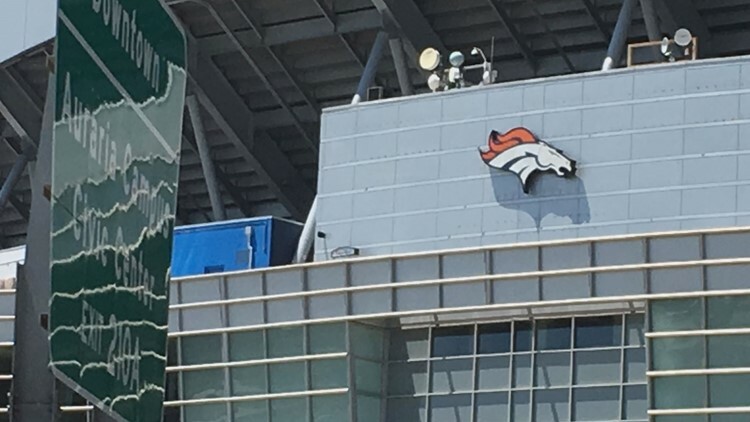 These signs will hang until further notice, but they, like the stadium's name, are temporary. Corporate-sponsored branding will eventually replace them. The new banner is mostly gray with a strip of orange at the bottom. 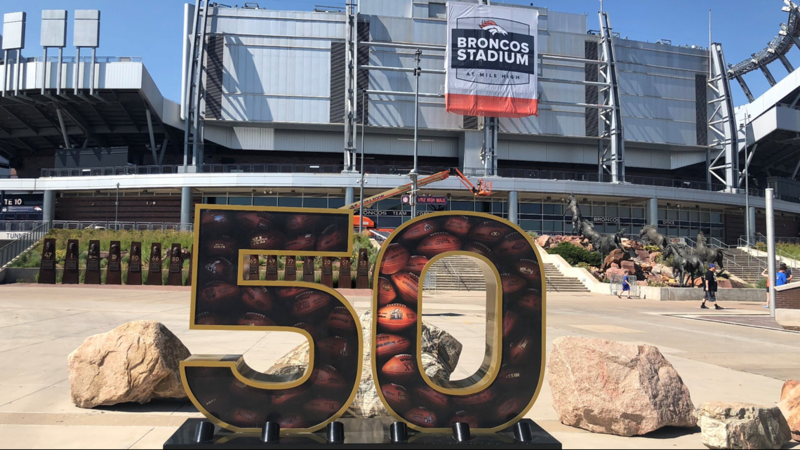 The Bronco head sits at the top, with the the words "Broncos Stadium" written in white underneath, on a navy blue rectangle. 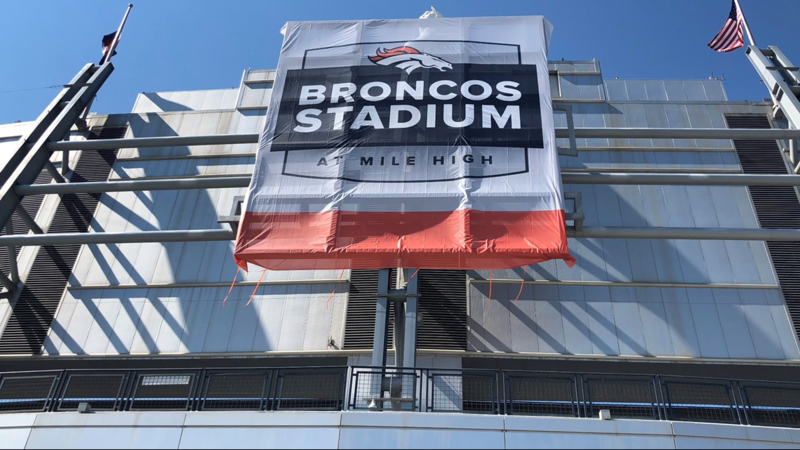 "At Mile High" is written below that. Look closely, and some evidence of the stadium's former name is still lurking. 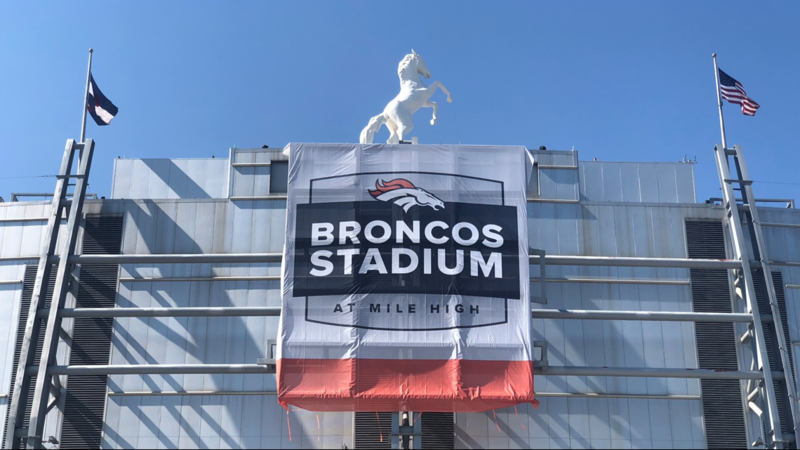 A "Sports Authority Field at Mile High" logo is centered atop a permanent sign, just in front of the same entrance where the new banner hangs. 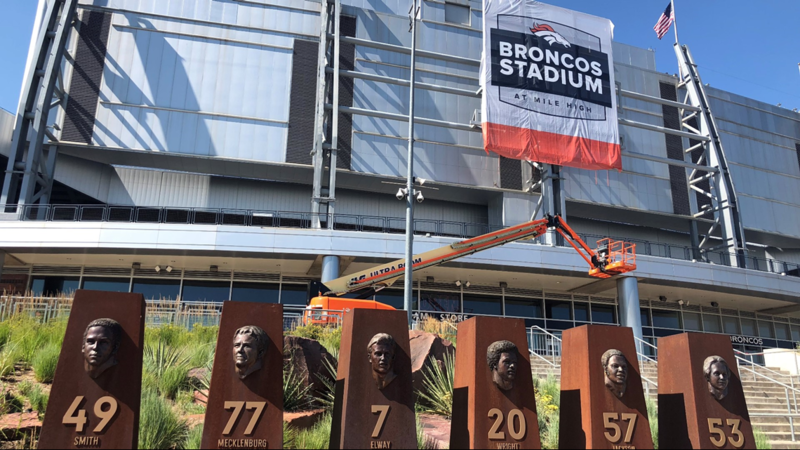 As of Friday, we noticed at least two of the three Bronco heads that are going up around the rest of the stadium have been installed, as well. 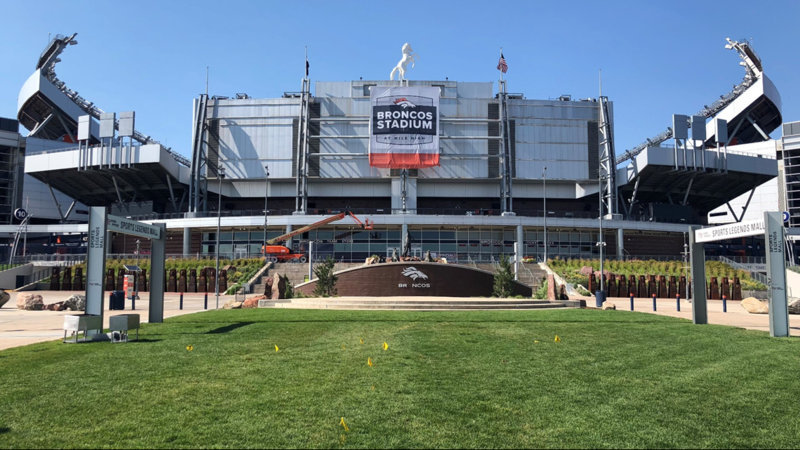 The Broncos presented the new name to the Denver Metropolitan Football Stadium District last month. 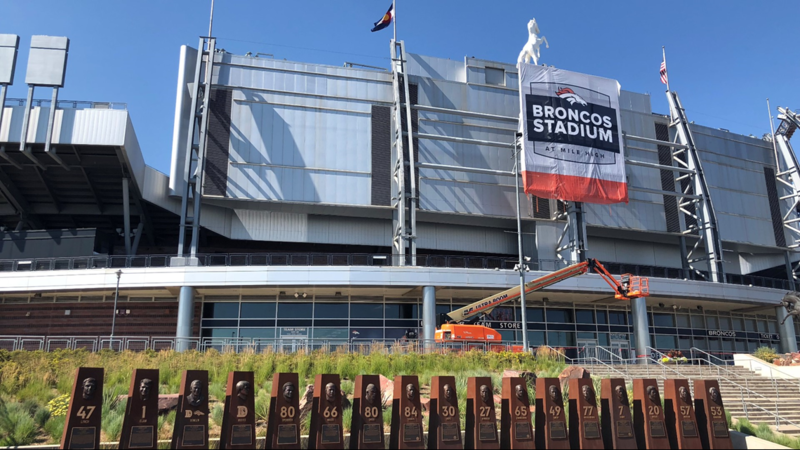 Up until then, the stadium had continued to go by "Sports Authority Field," despite the sporting good company declaring bankruptcy in 2016.